What happens when the sharing economy catches the fancy of the 1 percent? The sharing economy was hardly inspired by the needs of the megawealthy. If anything, it was inspired by the aspiration to live like the megawealthy. Vacation homes in exclusive beach towns (Airbnb), chauffeured Escalades (UberLUX), Cessna selfies (NetJets)—all the trappings of tycoonery were suddenly at the fingertips of the merely well-off. But in an unexpected twist, the newest participants in the fast-growing sharing economy—estimated to generate $335 billion in revenue by 2025—are the tycoons themselves. 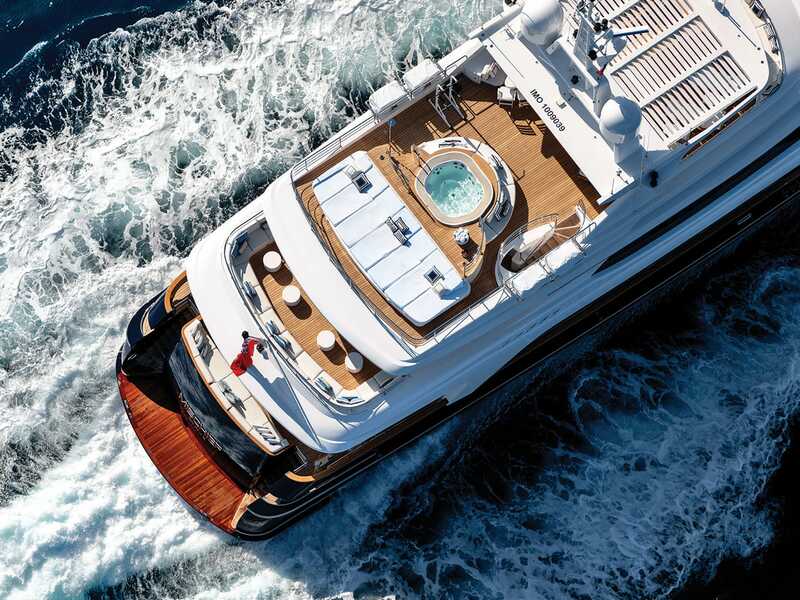 Mischief is one of the superyachts available for charter (sans broker fee) in Ian Malouf’s Ahoy Club. Take Australian entrepreneur Ian Malouf. His Ahoy Club is the VRBO of superyachts. As a superyacht owner himself (Malouf’s Mischief is 170 feet and valued at around $40 million), he realized these floating mansions can be idle assets. So he created a platform to connect his peers to customers willing to shell out upward of $400,000 for a charter. An alternative to luxury car ownership, FlexWheels is a subscription program in South Florida that caters to the driving whims of the superrich. With just a few taps on the FlexWheels app, a concierge delivers your ride du jour (in the mood for a Mercedes G550? Perhaps a Porsche 911 coupe?) anywhere, any time. It’s a multicar garage without the garish garage. FlexWheels asks: Why not a convertible for the weekend? And the next time you admire a Basquiat or a Warhol, consider this: That seven-figure painting on the wall might be rented. With Circa 1881, art financier Alvaro Leal monetizes a blue-chip collection beyond the buying and selling transactions. For a fee, members can borrow from Circa’s lending library chock-full of museumworthy contemporary art.